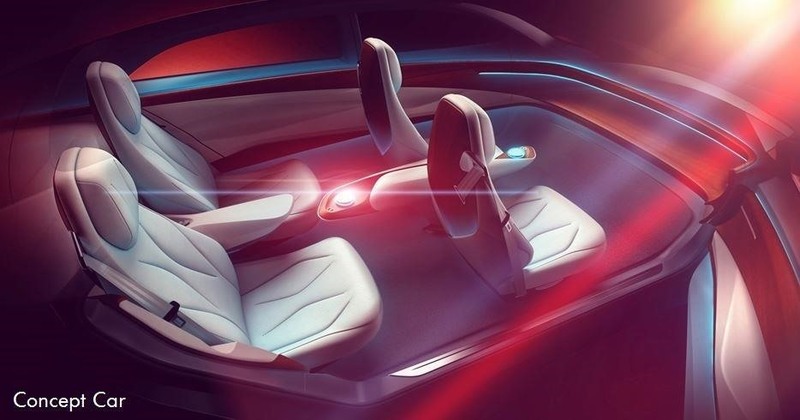 On Tuesday, at the Geneva International Motor Show, Volkswagen gave the world an early peek at a futuristic autonomous concept car that includes a virtual AI host embodied in an augmented reality interface. For its I.D. 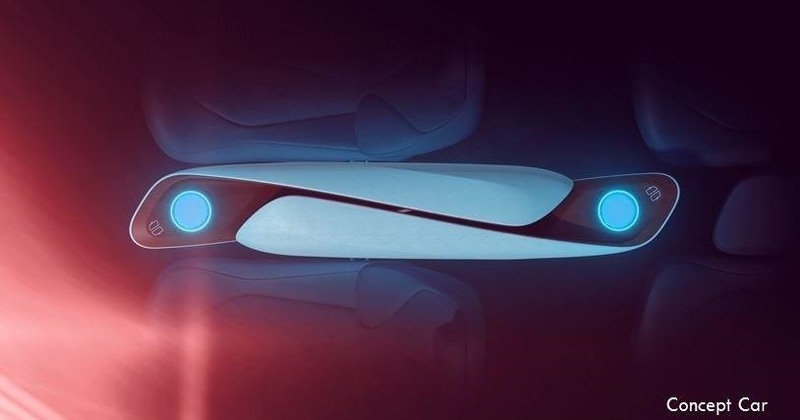 Vizzion concept car, Volkswagen has endeavored to create an environmentally clean and road safe vehicle that also offers a comfortable experience for passengers. 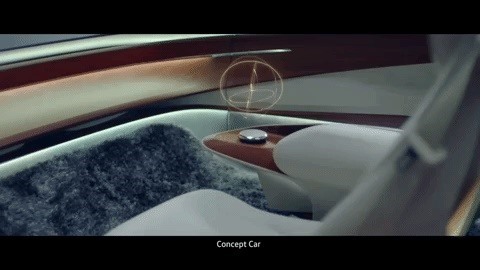 The vehicle's interior looks more like a lounge area in a high-end hotel bar than a car carriage, and it contains no steering wheel or traditional controls. On the center console, a chrome-encased disk projects an augmented reality greeting, as shown in a teaser video posted on YouTube just hours ago. Alas, such a feature as a viable in-car tool appears to be further down the road, as Volkswagen envision the interface as something that will accompany its vehicles in 2030. Nevertheless, the brief AR tease, which appears to be shot through a device of some sort, is compelling. In its announcement for the vehicle, Volkswagen did not mention the software vendor for the AI or AR aspects of the vehicle, but Nvidia has previously dropped the German automaker's name as a client. Industry experts like Nvidia's CEO Jensen Huang expect augmented reality to become commonplace in new car models within the next five years. Part of this reasoning is related to practical uses for AR that transcend eye candy like today's reveal. Along with AI-based driving assistance, augmented reality displays can help improve driver safety by keeping infotainment displays within their line of sight on the road instead of focused on the dashboard. And once self-driving technology is truly ready for prime time, augmented reality will still play a role. For example, AR can provide information about the vehicle's behavior and performance, giving passengers an overall sense of security that all is well mechanically. Most concepts of future AR interfaces appear as heads-up displays projected onto the windshield or embedded into the dashboard. But with the I.D. Vizzion, it appears that Volkswagen's AR displays are meant for a world where drivers no longer need to keep their eyes on the road. 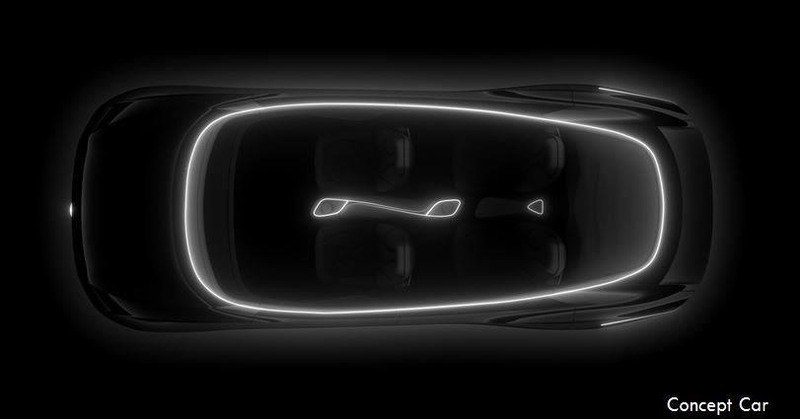 The full unveiling of the concept car is coming soon, as the 88th edition of the Geneva International Motor Show will kick off on March 6.